I contributed to the Baltimore City Paper's annual Top Ten issue as usual this year. In The Year In Music I wrote blurbs for Mullyman, White Life and Celebration. I was also one of the many voters for The Year In Music, although I wrote no blurbs and the only album I voted for that made the top 10 was Beyonce (my ballot as submitted on the CP site is slightly different from the 'final' top albums of the year list I finished posting on my blog a couple weeks later, since I'm always making last minute changes to those things). My birthday is on January 6th, and I rarely have a big birthday party, I think largely because everyone, including myself, tends to be kind of partied out after the holidays and New Year's Eve. 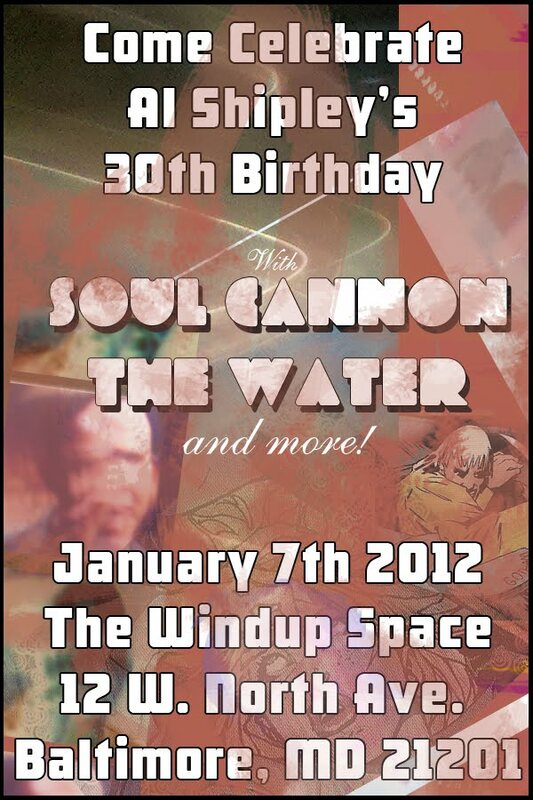 But I'm turning 30 this time around, so the weekend of my birthday, on Saturday, January 7th, 2012, I will be having a big old birthday bash at one of my favorite clubs in Baltimore, The Windup Space. There will be music from two great Baltimore acts, the hip hop band Soul Cannon and the instrumental duo The Water, and perhaps some more surprises. I made a Facebook event page for the show, and have invited some folks on there, but really it's open for anyone who wants to come, whether they know me well or not at all. I just want to hang out and drink and hear some great music and be around people I love. 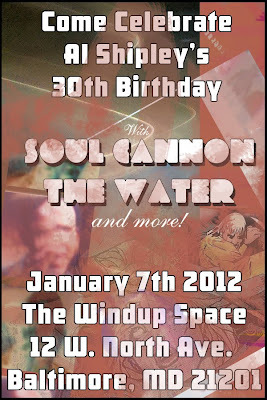 It is a concert, so admission is $5, so you can consider paying that your birthday gift to me, if you like. But whatever, it's gonna be fun, if you're in Baltimore that night I hope you stop by. Doors open at 9pm and music starts at 10pm. Last Monday when DatPiff.com premiered the new Los mixtape The Crown Ain't Safe, hosted by DJ Ill Will and DJ Drama, I was one of the first to listen to the mixtape and liveblogged my reactions for the Baltimore City Paper's Noise blog.